Hello Summer. I have on a very racy black lace top. I actually bought the top solely for layering but that idea went right out of the summer window towards fall. Paried the lace top with a circle skirt and added pink cape toe heels. Carrying a hot pink bag to complete my summer time outfit. Amazing ensemble!!! I love your lace top and your fuchsia accessories!!! Please, don´t write your link with your comment on my blog. It´s bad for spam! I have that same top! I love how you styled yours, you pull it off so well; lovely outfit. Such a cute top and accessories, I didn't know that Target has such a cute shoes:). I'm heading to Target soon:). You looks amazing! Black and pink is a great combination and i love this lace top. Great colour combination! Followed you back! Such a cool outfit, love the pairing of the bag and the heels! I want the top. It is beautiful!! You look stunning! 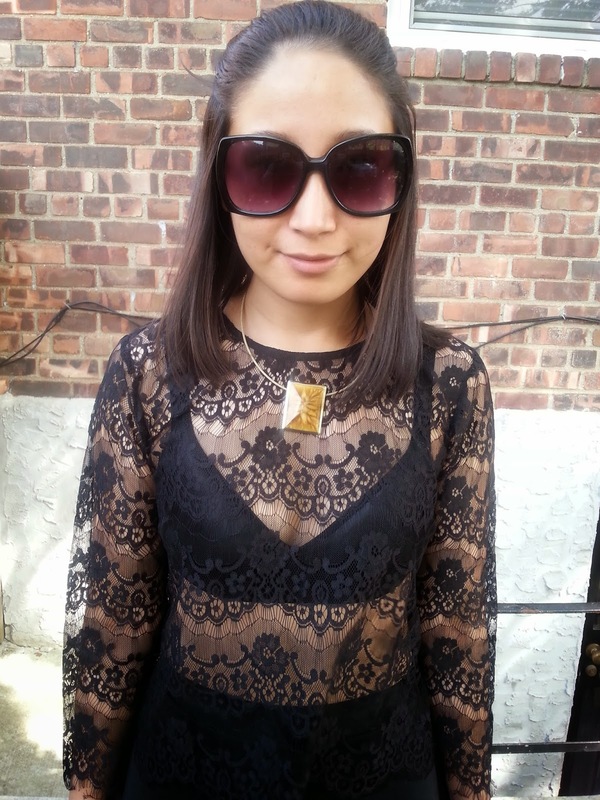 Love your lace top! This outfit is amazing,love the hot pink touch! Follow each other let me know and i will follow you back! That is one trendy out fit. Wooo, this is a "lacy racy" number indeed. I love lace trend this season as well. I must tell you that you look fabulous and I am envious of you being brave enough to rock this look with such confidence! wow girl that dress is so gorgeous! love your heels wit it stunning.... Thanks for your visit! New post is up! Amiga arrasou amei o look sapato lindo, belos acessórios. This look is very very very wonderfull!!! I like it so much! Love your shoes! Looks amazing! Again a wonderful Outfit ,love the Heels! you look so awesome <3 yay ! Oh dear, this looks just perfect! I love the whole black with pops of pink.